Couture fashion shows are my favorite part of the fashion industry. They truly represent the art of fashion and the art of clothing making. Couture garments are all handmade, in stunning detail. There is a great documentary on Netflix called 7 Days Out with an episode about a Chanel Couture show, if you’re curious about what goes into it! The art of fashion shows like these are the reason I went to school for fashion design. 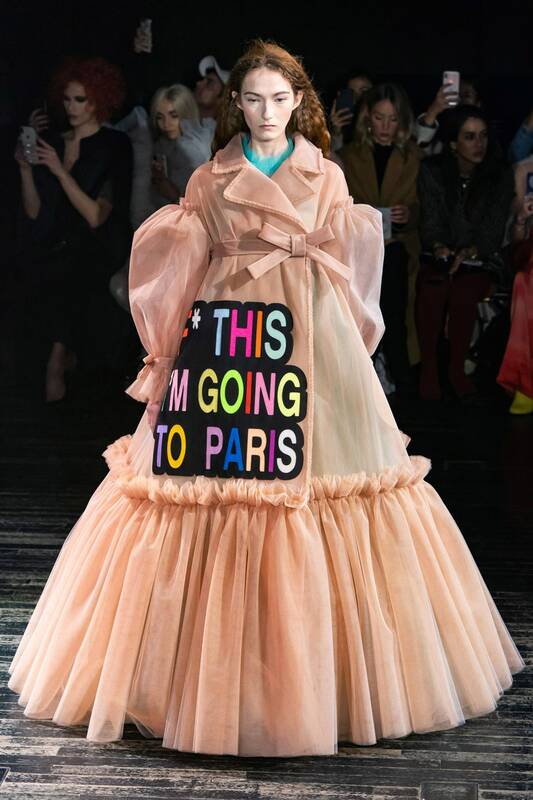 This week is the Spring 2019 Couture fashion week, and the shows have not disappointed. My favorite show is always Givenchy—I personally love their aesthetic and reinvented silhouettes. Dior’ show took on a circus theme with just enough influence to keep the garments designed and not theme-y. Elie Saab keeps to a very consistent look show after show, but the gowns are none-the-less stunning. There is now doubt this collection will be all over the red carpet at upcoming award shows. And then there was Viktor & Rolf who made a literal statement with each look. Clever, bold, and 2019 mood for sure. Enjoy some of my favorite looks below!